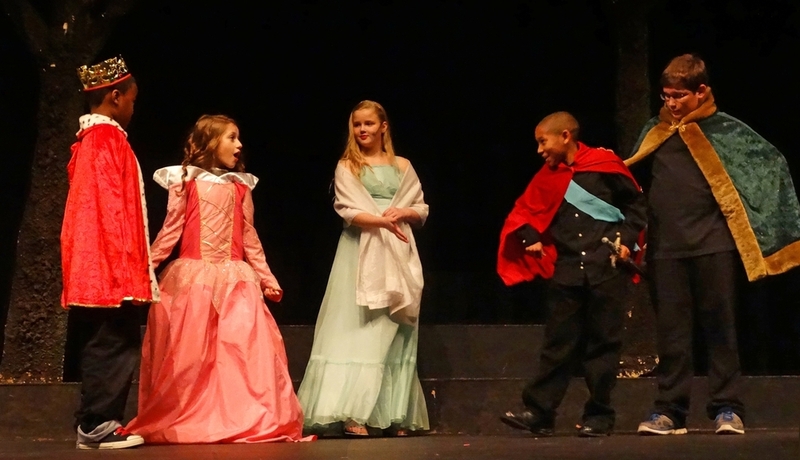 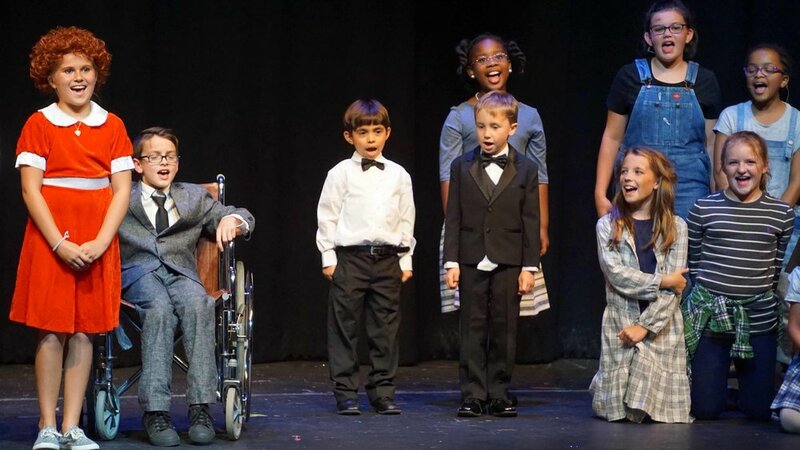 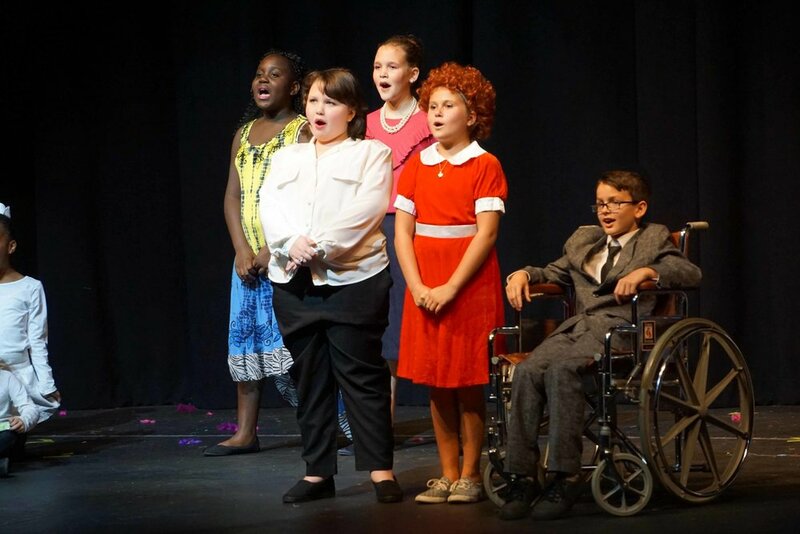 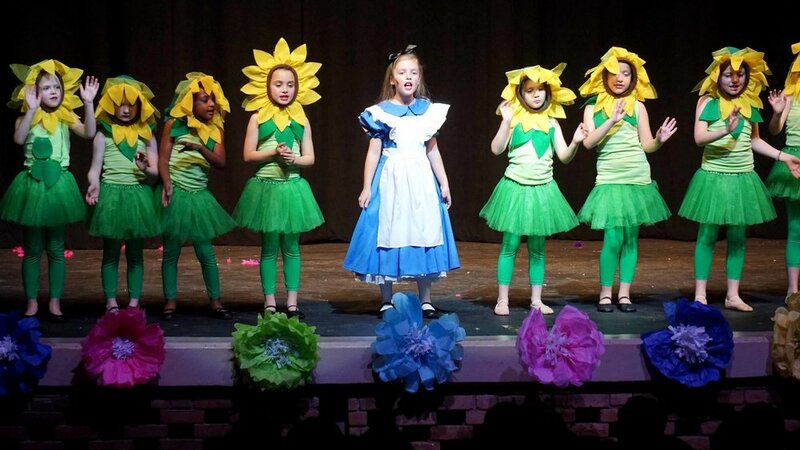 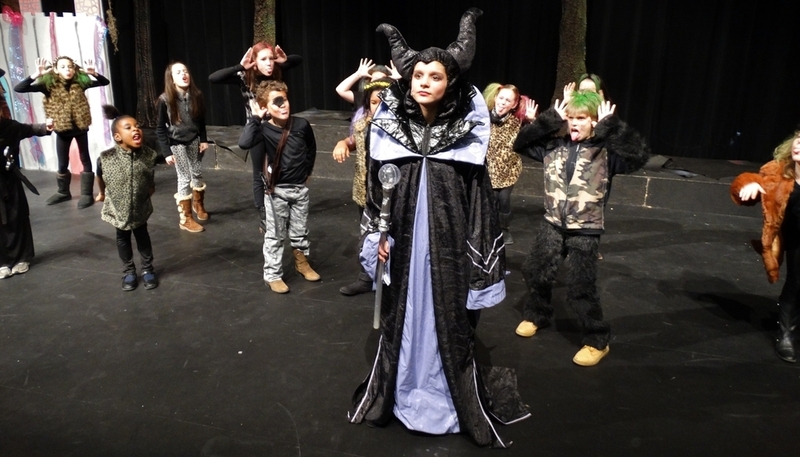 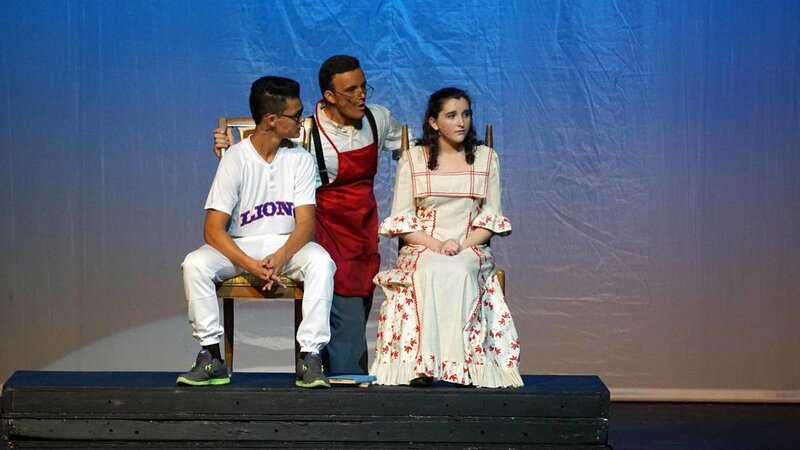 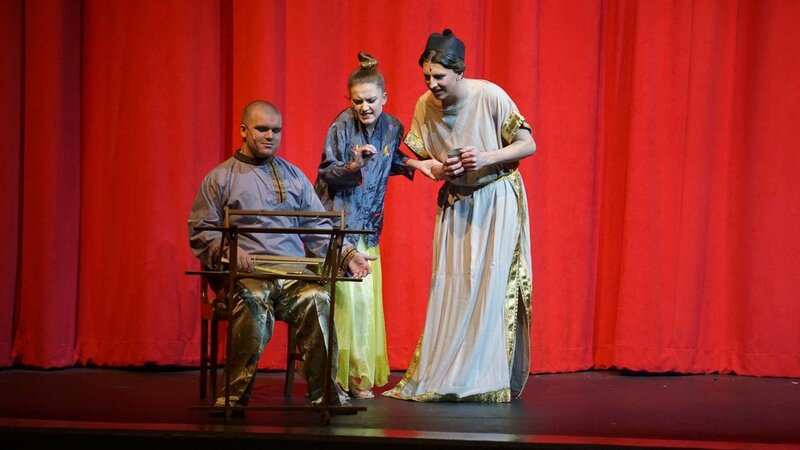 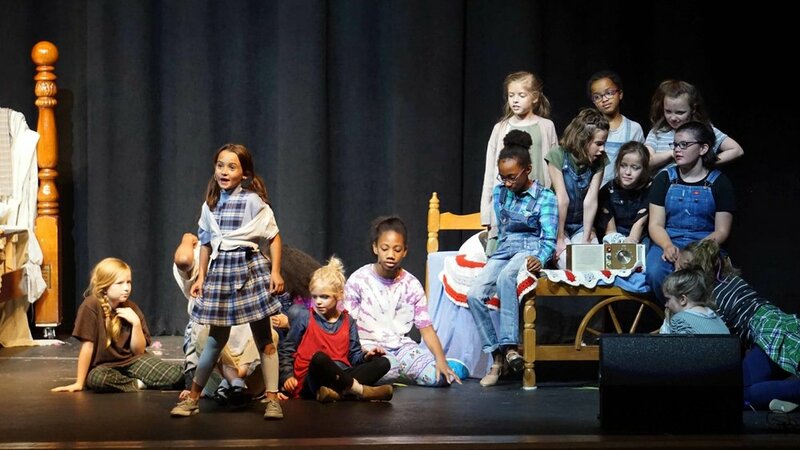 The theatre arts at Harding Academy have a rich tradition of bringing stories to life through the sights and sounds of performances on the stage of O. O. Emmons Auditorium. 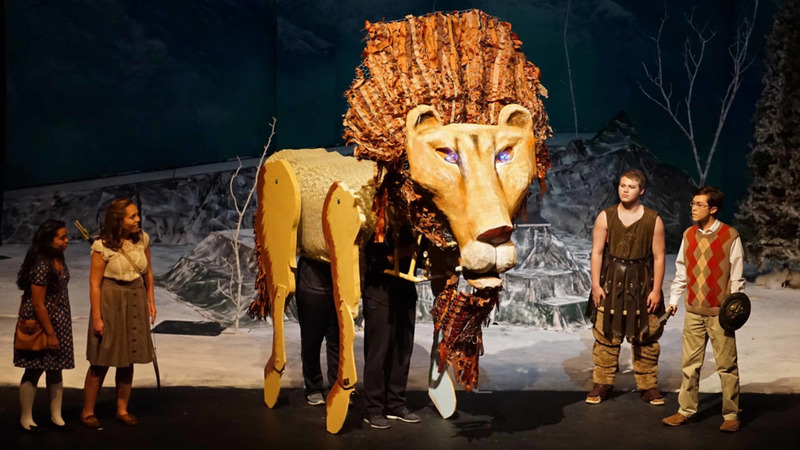 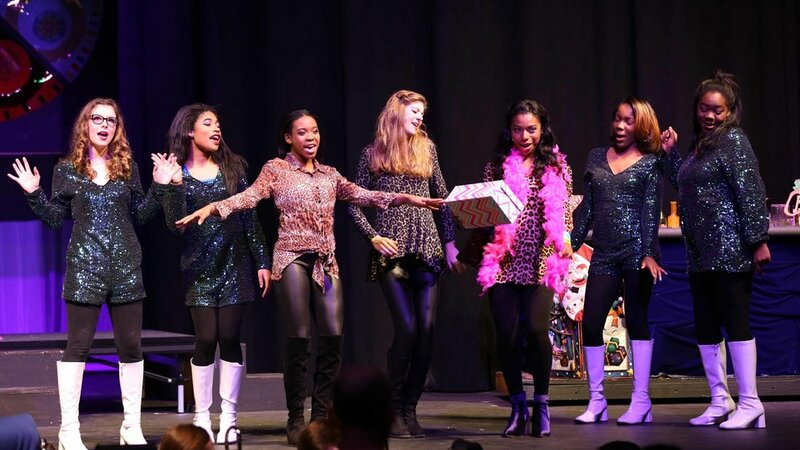 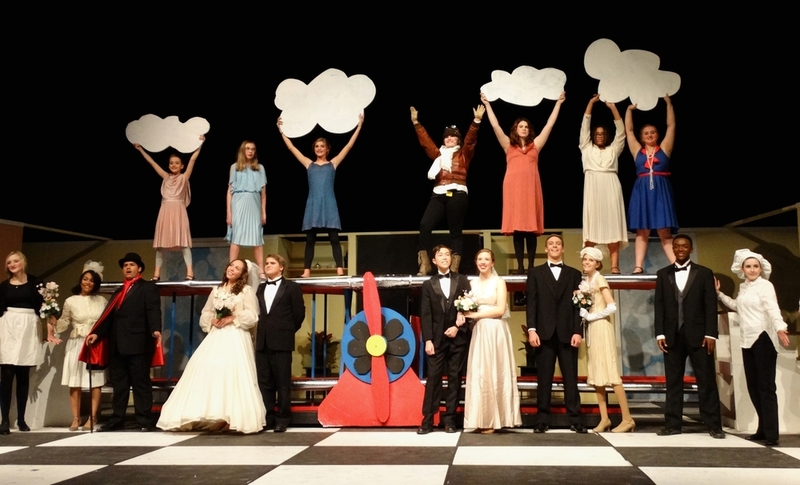 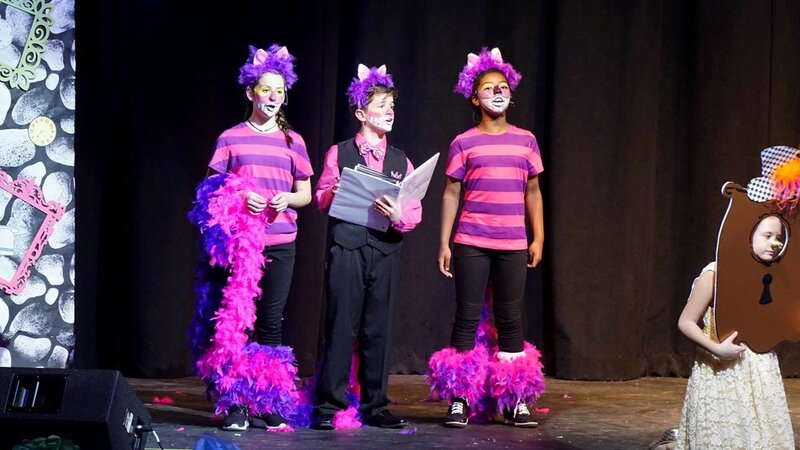 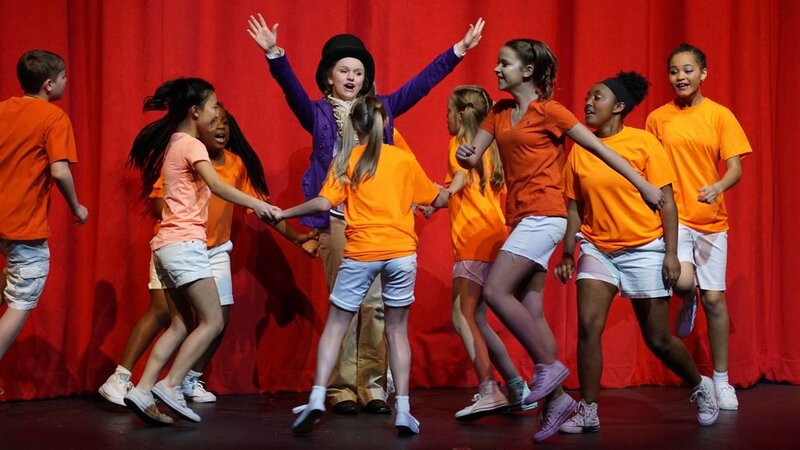 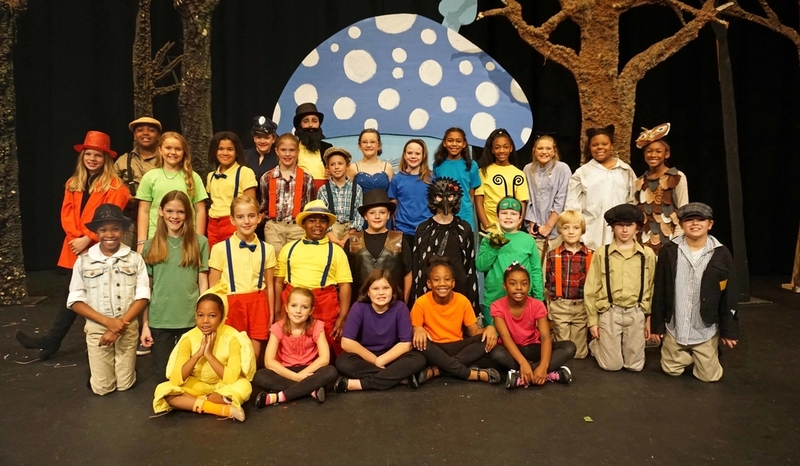 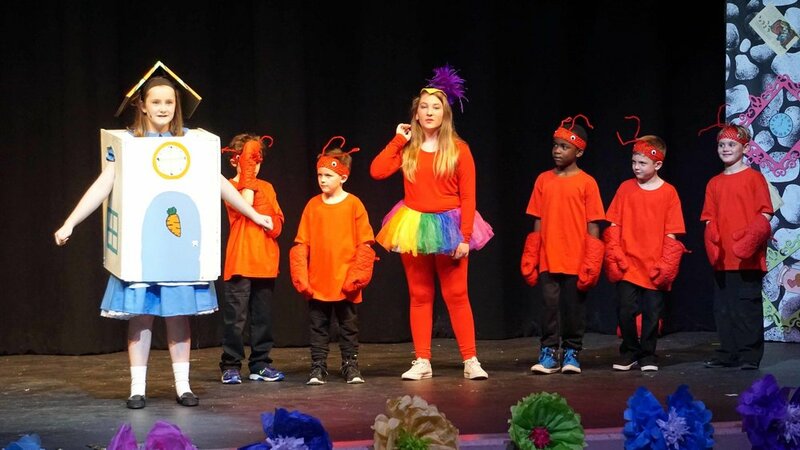 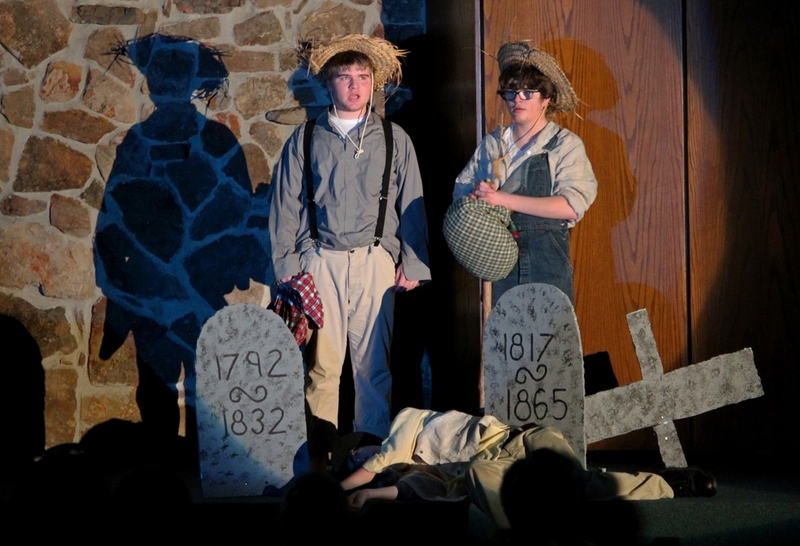 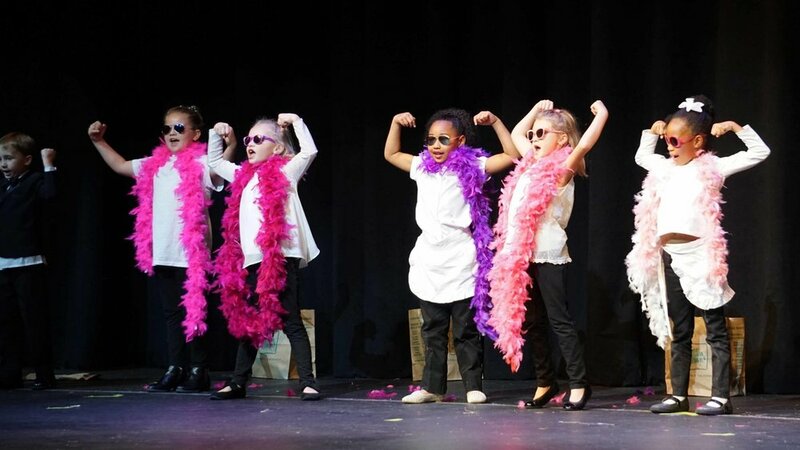 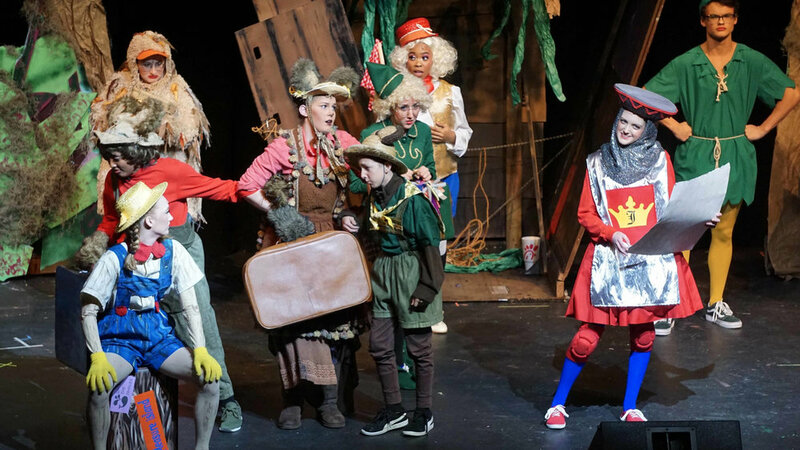 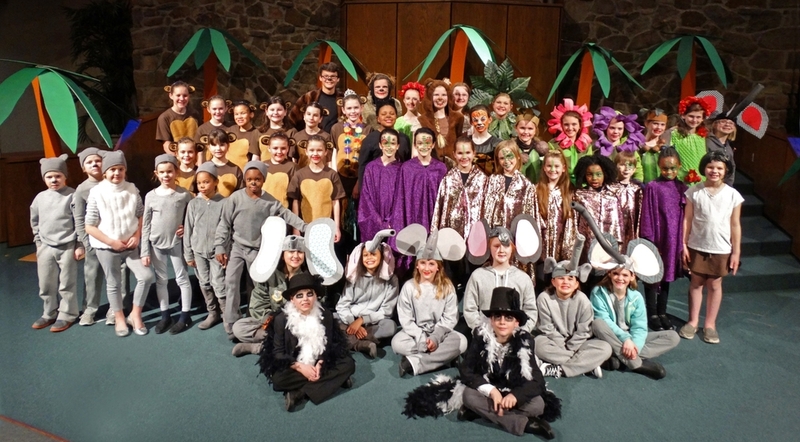 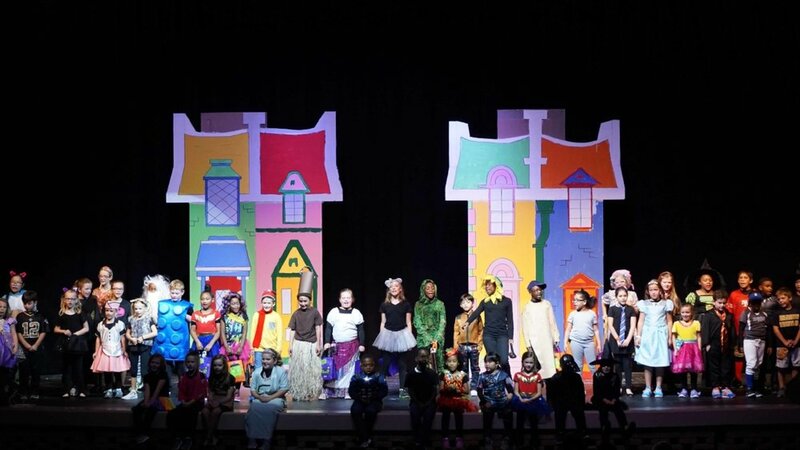 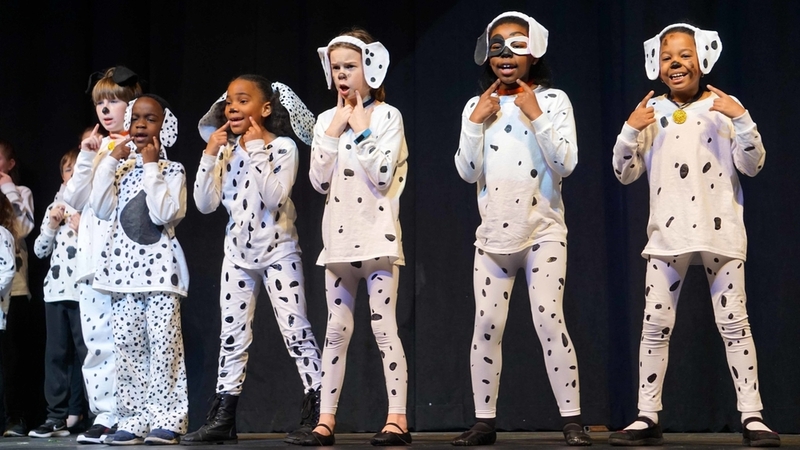 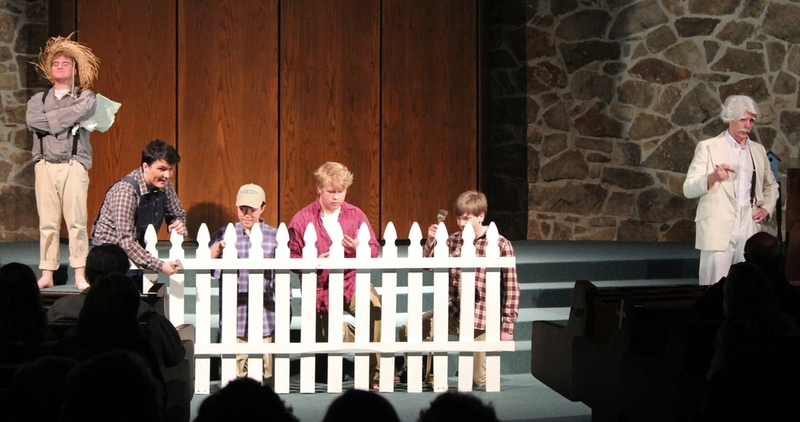 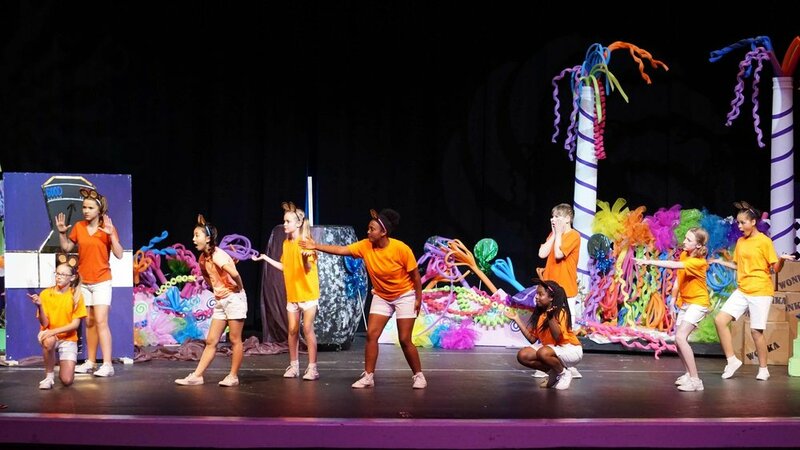 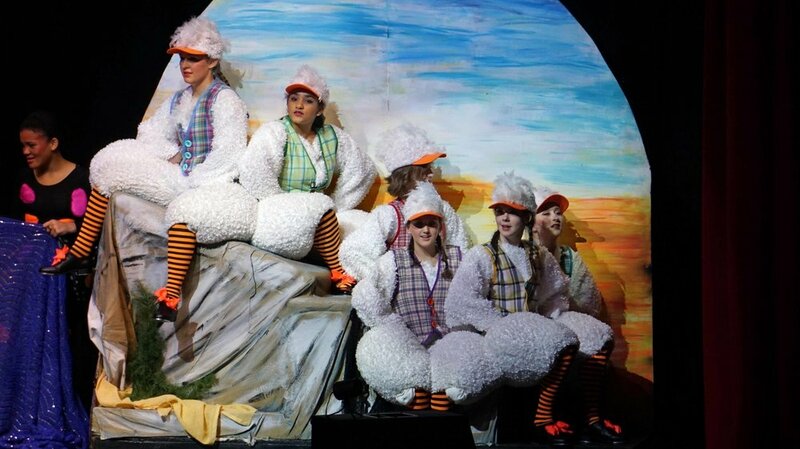 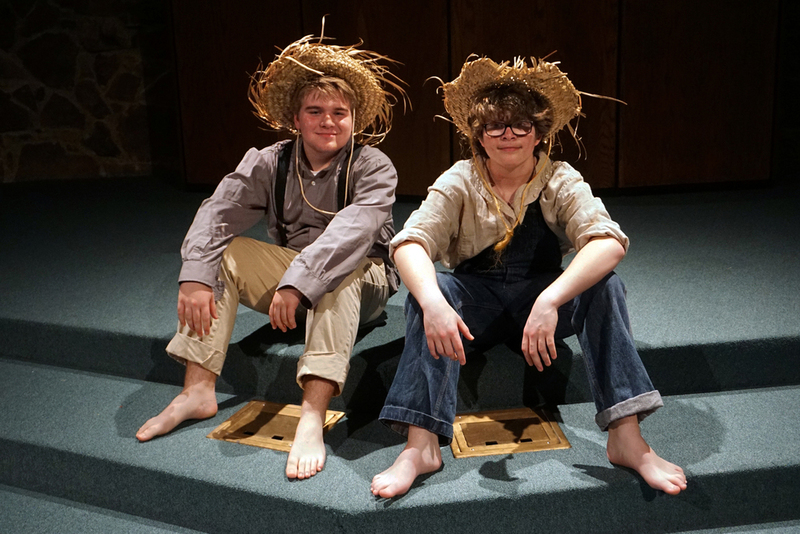 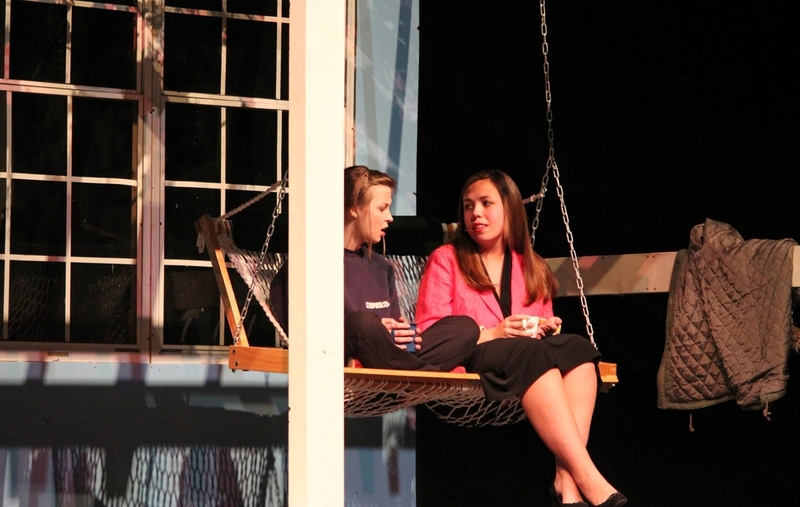 Each year MainStage productions are performed by students from our lower school to the upper school for crowds of students, parents, alumni, teachers, and the greater Memphis area. 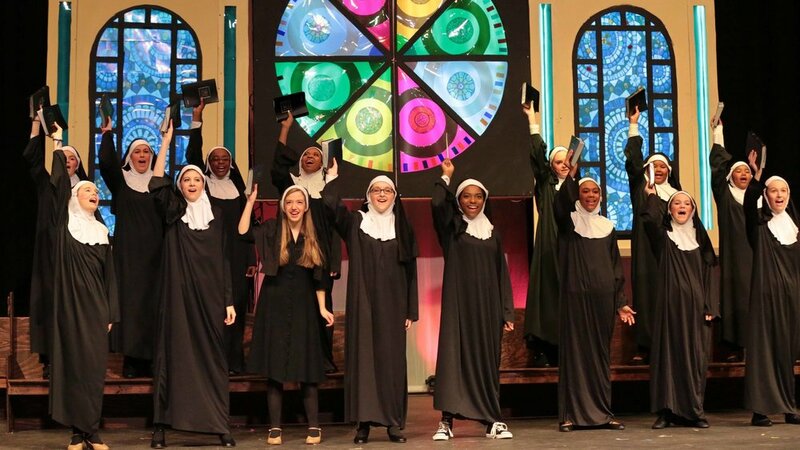 The goal of all the fine arts at Harding Academy is to speak God's truth in the most beautiful way possible. 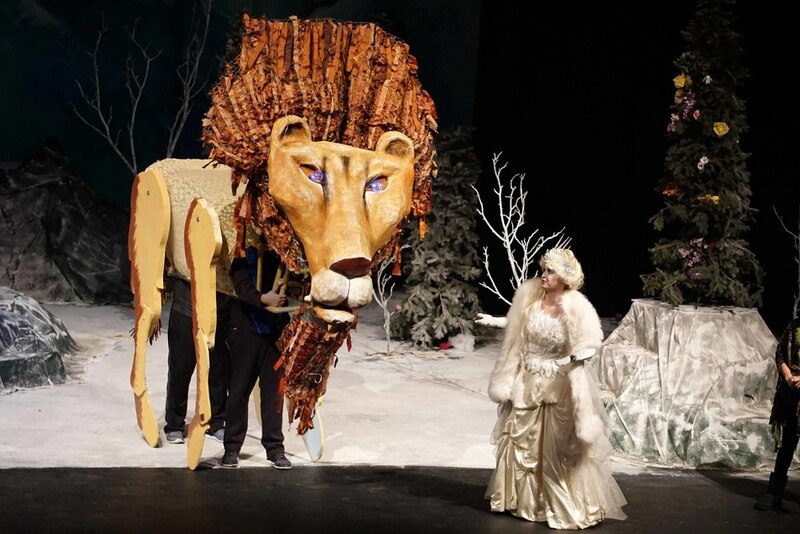 Whether it be the importance of family bonds in Proof, the faithful friendships displayed in The Lion the Witch and the Wardrobe, or the validation of virtue over wealth found in Cinderella, all truth is God's truth. 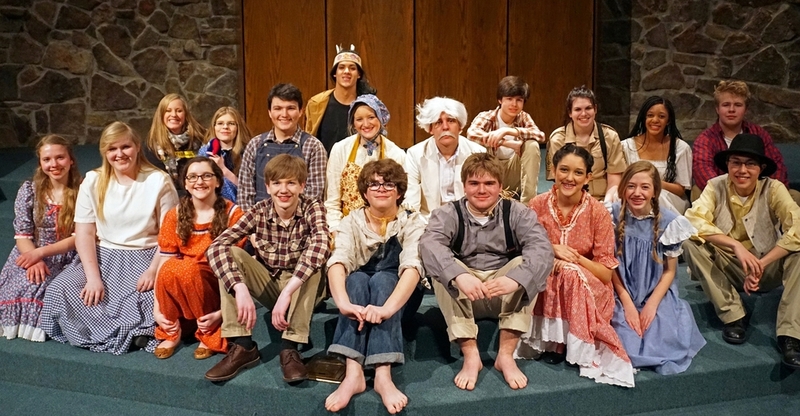 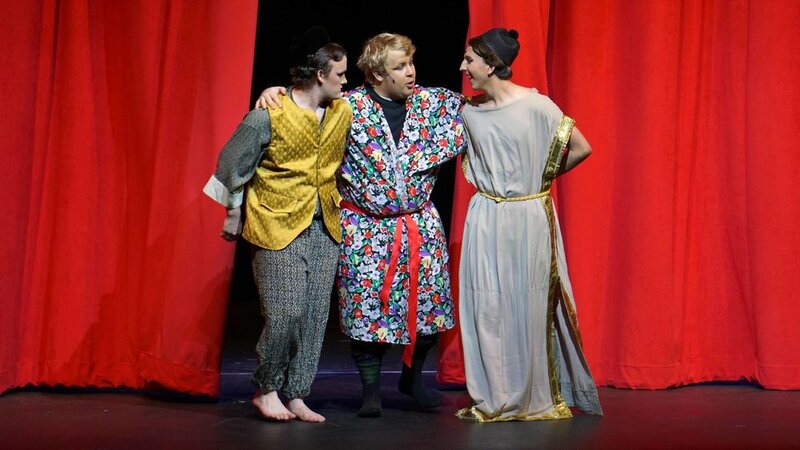 The theatre department at Harding is a safe place for students to explore how they can be a part of telling those stories of truth through their gifts of acting and singing. 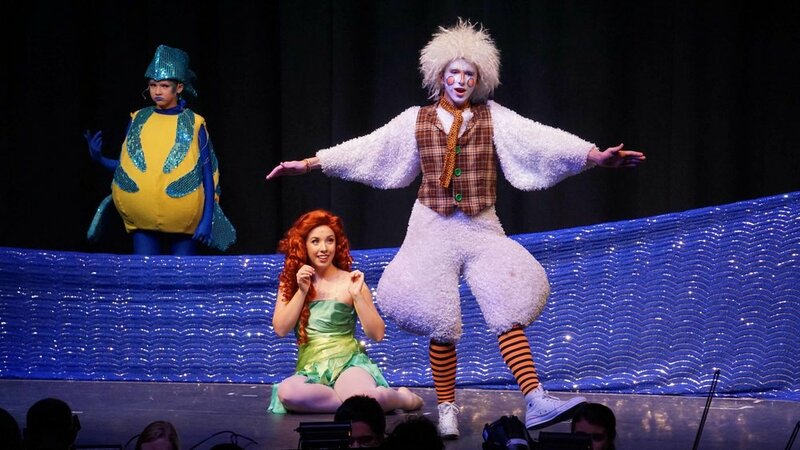 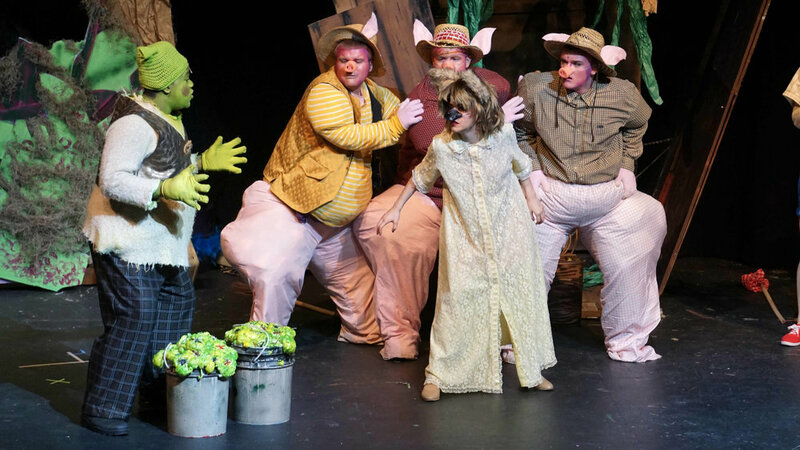 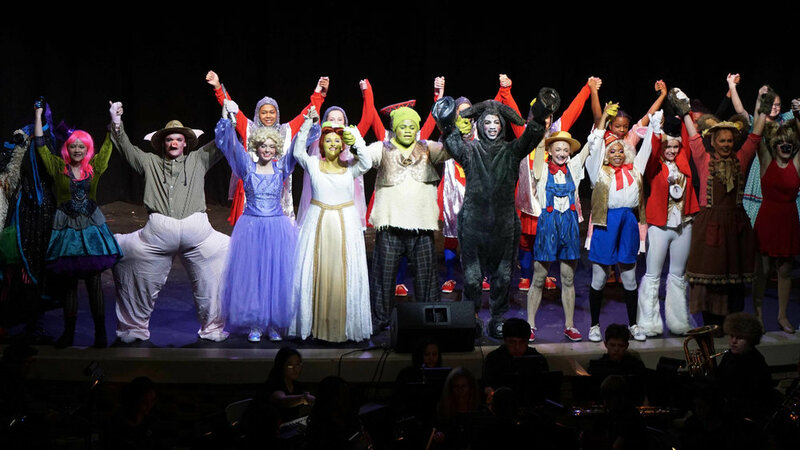 Shrek The Musical had six nominations for the Orpheum’s High School Musical Awards for the 2018-2019 season. 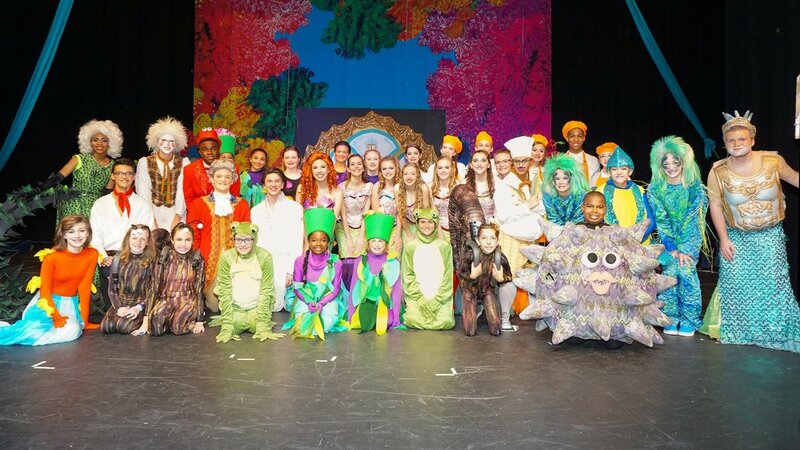 “Outstanding Artistic Element”—Dragon, Tessa Mullinix, Ayana Walls, and Maia Bennett for “Outstanding Small Ensemble–Dragon,” "Outstanding Student Orchestra,” Tyler Patterson for "Outstanding Technical Achievement Award," Elena Parkhurst as little” Fiona for "The Bravo Award," and Katie Reidel as Teen Fiona for "Outstanding Featured Actress." 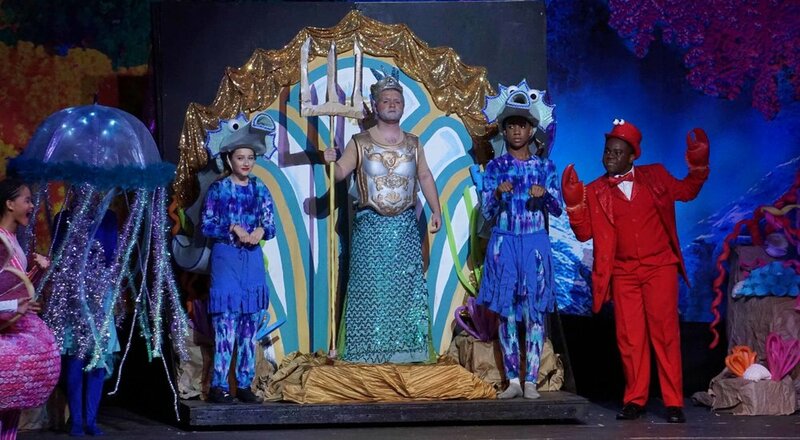 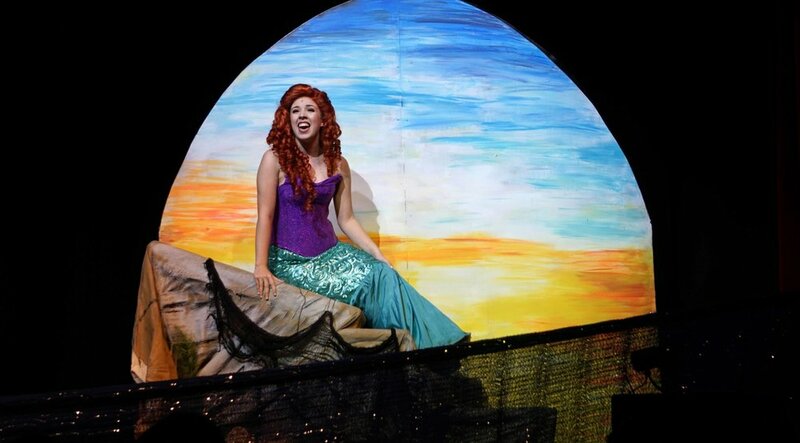 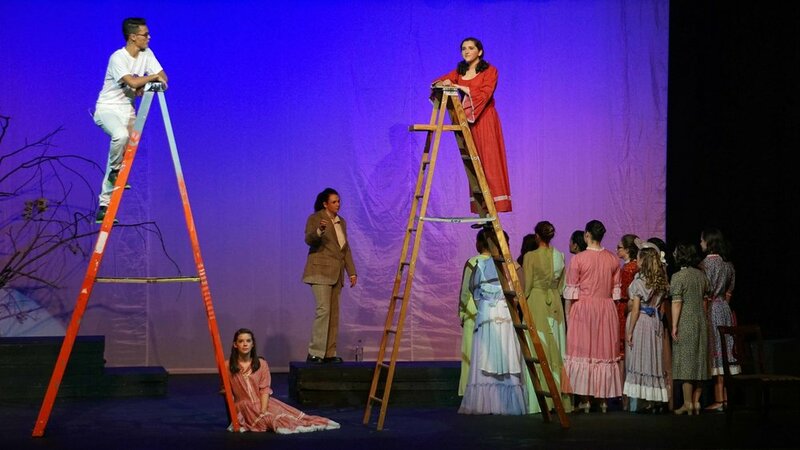 The Little Mermaid had four nominations for the Orpheum's High School Musical Awards for the 2017-2018 season. 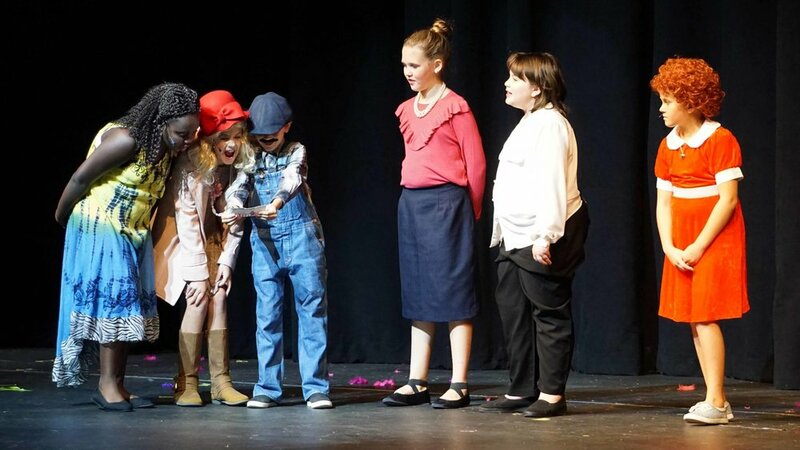 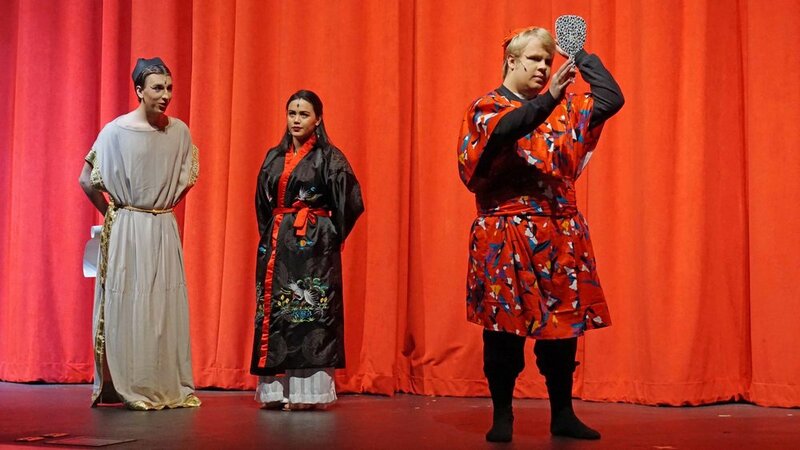 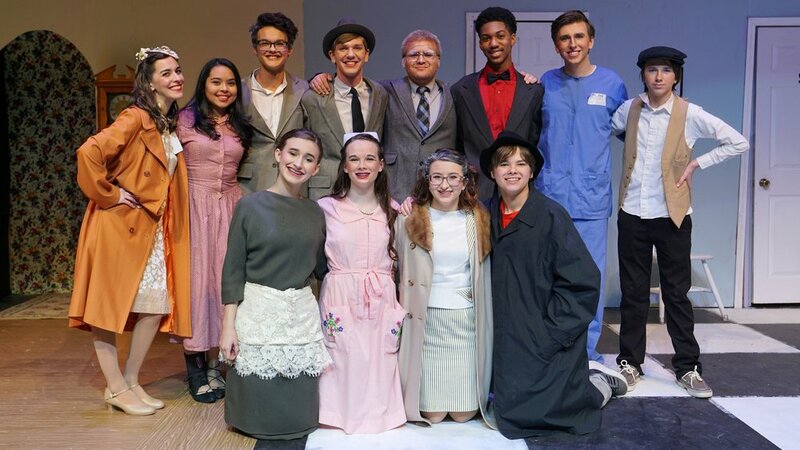 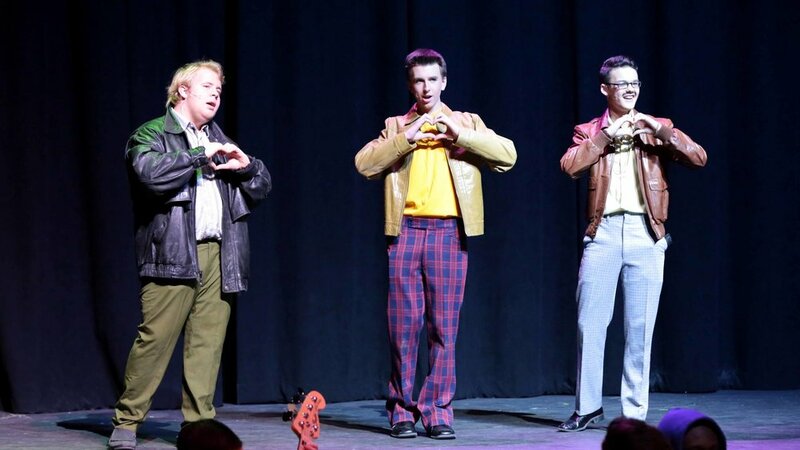 "Outstanding Student Orchestra,” Tyler Patterson for "Outstanding Student Technical Achievement Award," Chandler Donlin as Flounder for "The Bravo Award," and Bella Malone as Chef Louie for "Outstanding Featured Actress." 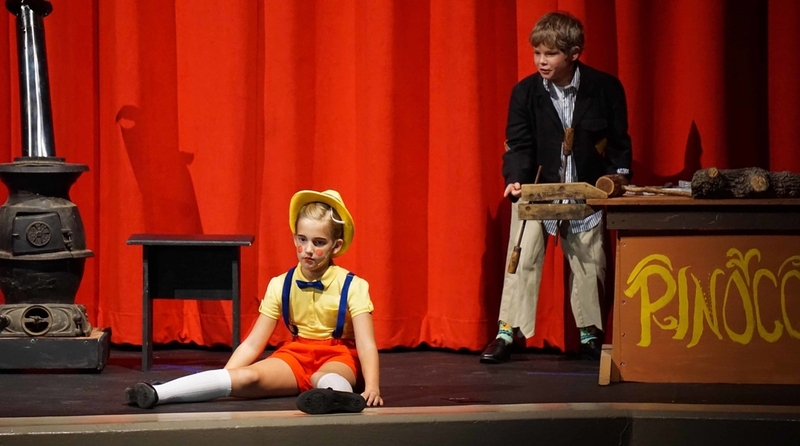 Congratulations to Chandler Donlin who received "The Bravo Award." 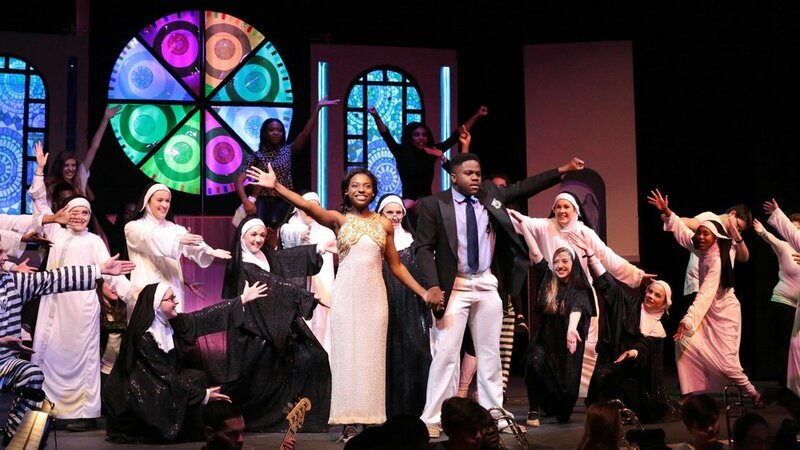 Sister Act had two award nominations for the Orpheum's High School Musical Awards for the 2016–2017 season. 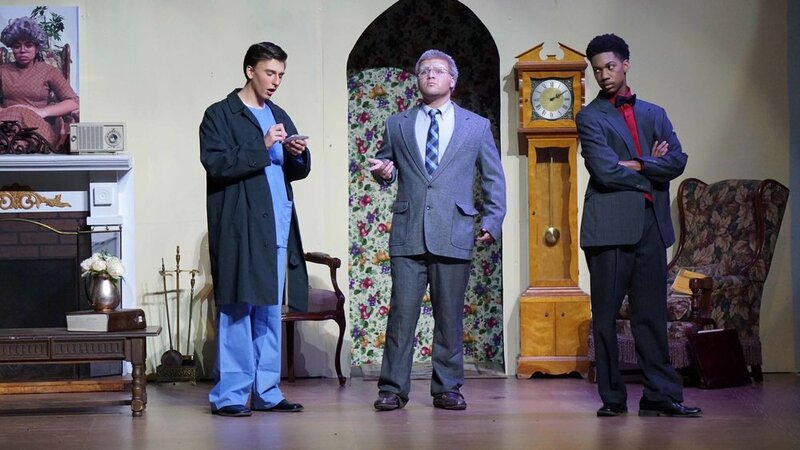 "Outstanding Production Materials" and Aubrey Dearen for "Outstanding Creative Achievement." 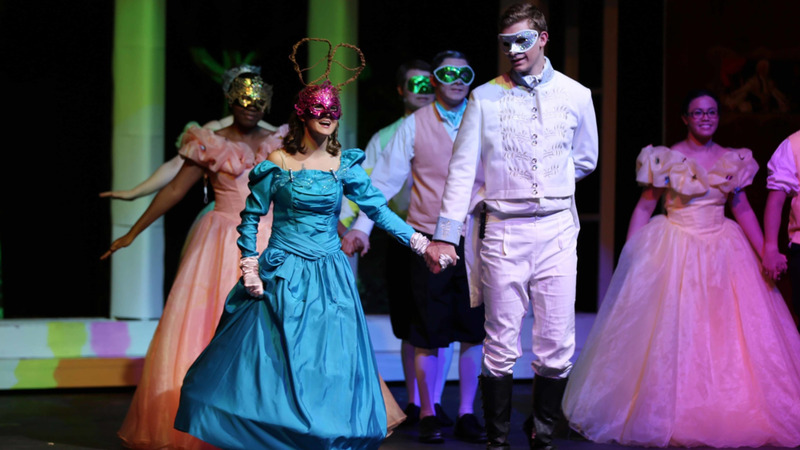 Cinderella had four nominations for the Orpheum’s High School Musical Awards for the 2015–2016 season. 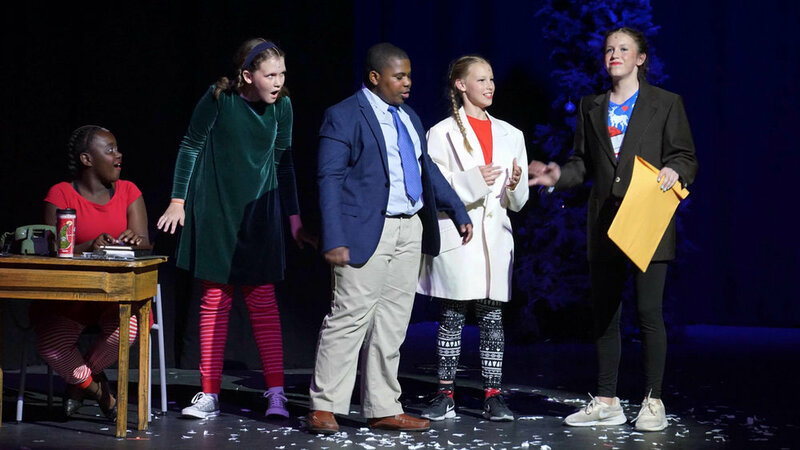 "Outstanding Front of House," "Outstanding Costumes," Aubrey Dearen for "Creative Achievement," and Katie Fisher McHugh for "Best Supporting Actress." 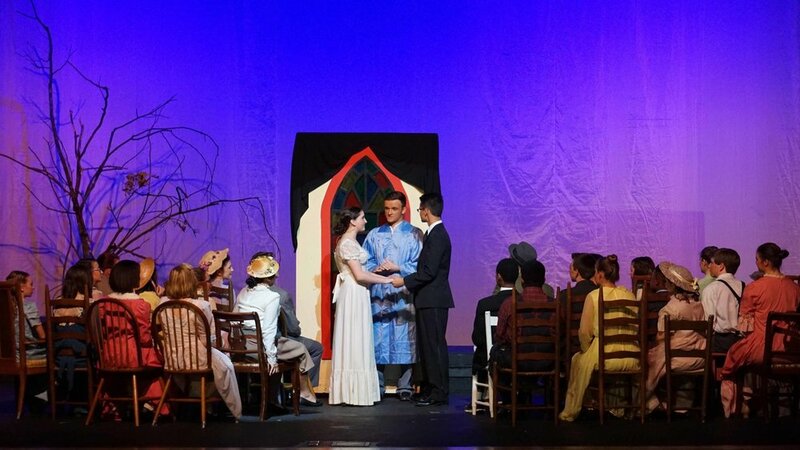 The Drowsy Chaperone was nominated for “Best Lighting Design” for the Orpheum’s High School Musical Awards for the 2014–2015 season. 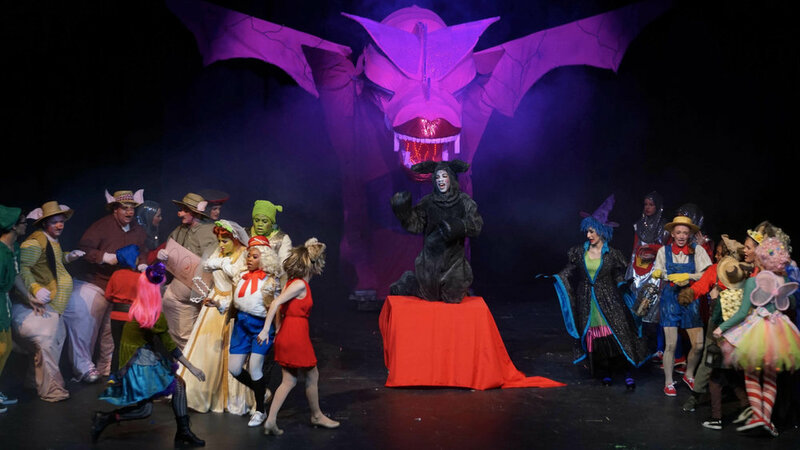 A set of Audrey II puppets was created for this production. 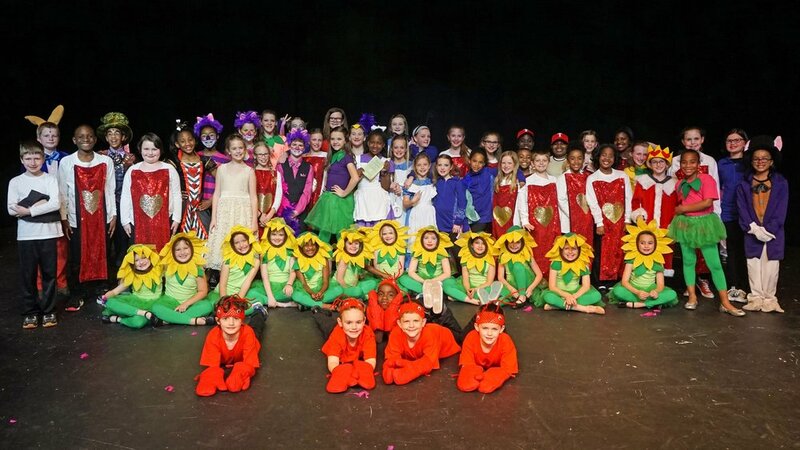 There is only one other set in the Mid-South.